Creation Of Tattoo: Simple henna pattern for the back of the hand. 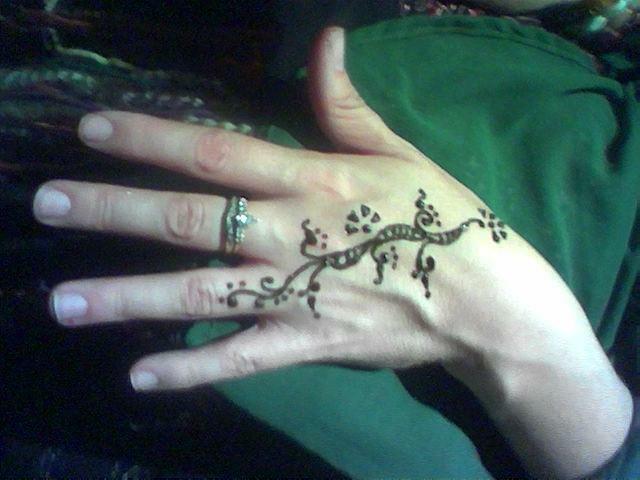 Simple henna pattern for the back of the hand. Here is a quick & easy henna tattoo. This simple design takes about 5 minutes to apply. Notice the movement of the pattern from wrist to outer finger. This style flatters the hand and enhances the ring.